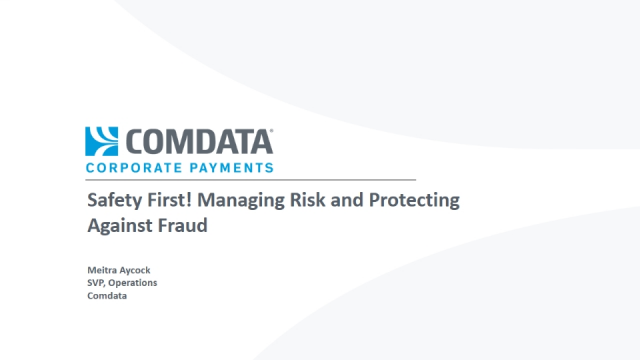 Comdata is a leading provider of innovative payment and operating technology that drives actionable insights from spending data, builds enhanced controls and positively impacts its clients’ bottom lines. We support more than 30,000 businesses to better manage $55B in annual fleet, corporate purchasing and payroll spending. Comdata is Mastercard’s leading commercial issuer in North America. Risk management and fraud protection are evolving every day. Is your organization evolving with them? As fraud continues to rise, it's imperative that organizations understand how they can help protect themselves.